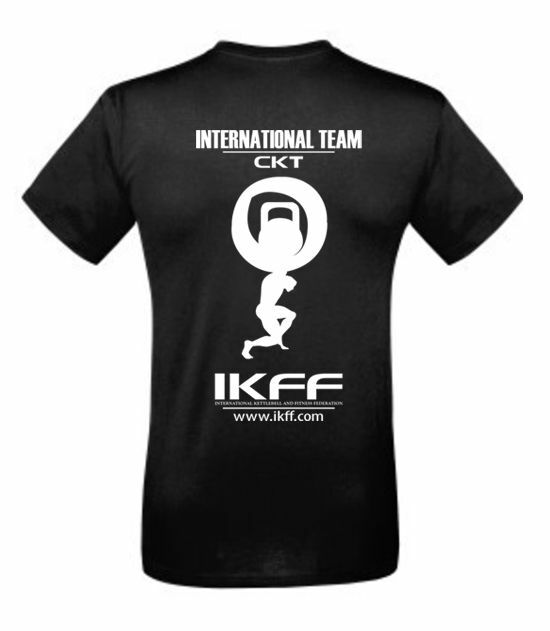 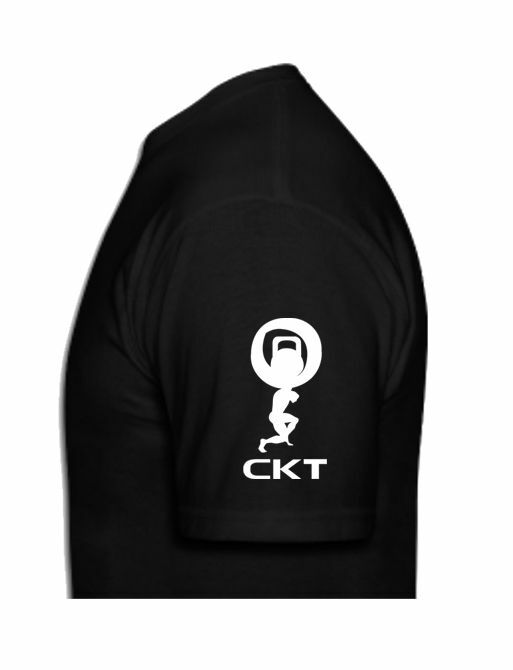 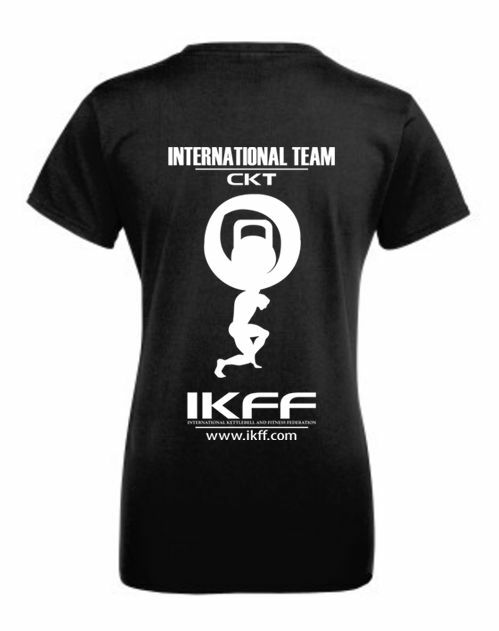 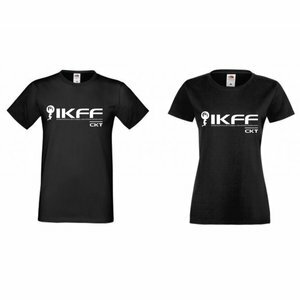 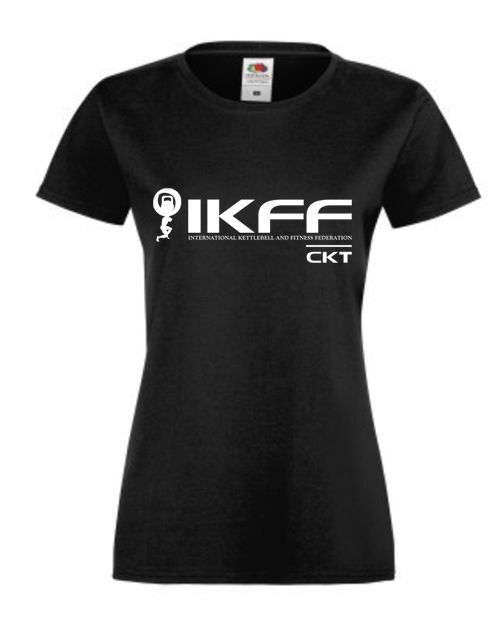 The kettlebell shirt for the IKFF Certified Kettlebell Trainer - IKFF CKT. 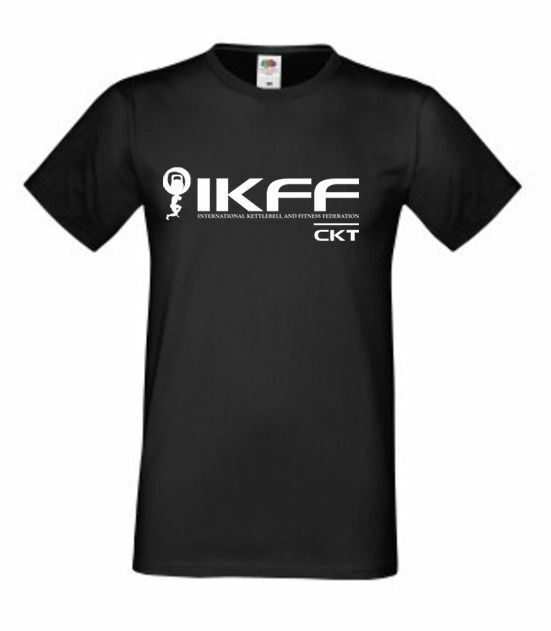 The shirt is 100% cotton with a "super soft feel". 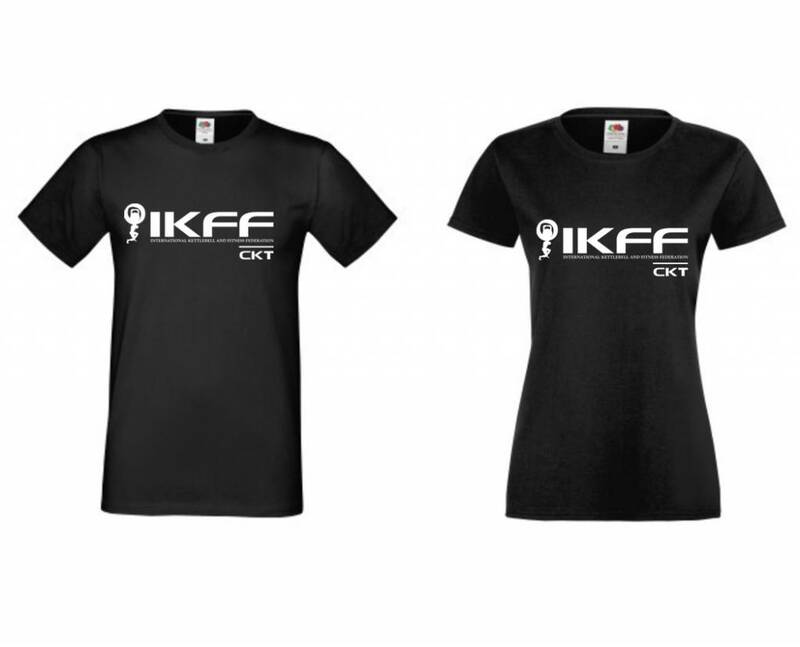 For the ladies the following sizes are available: XS, S, M, L, XL. 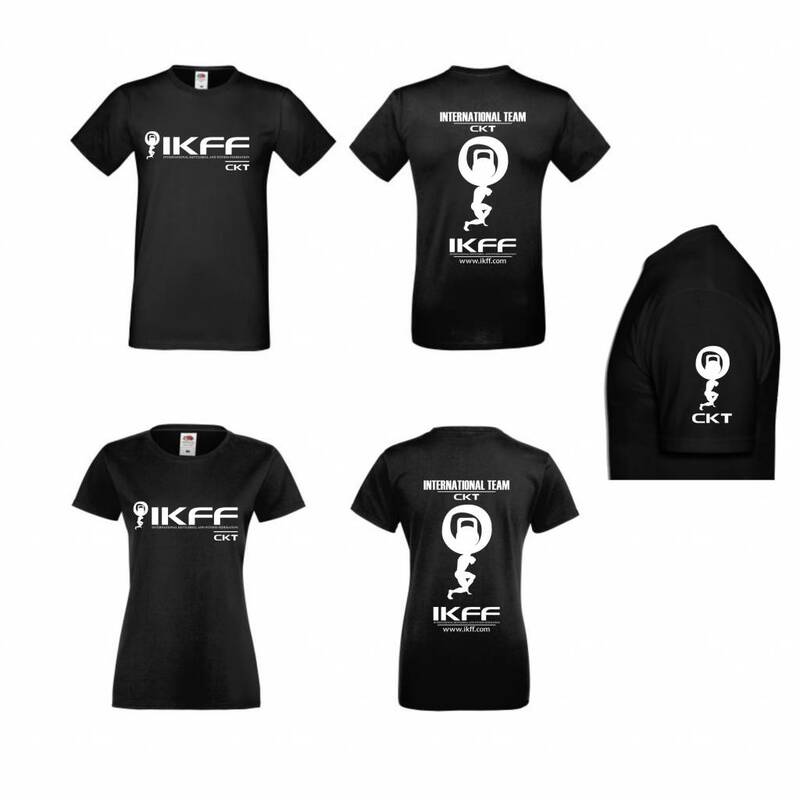 For the men the following sizes are available: M, L, XL, XXL.